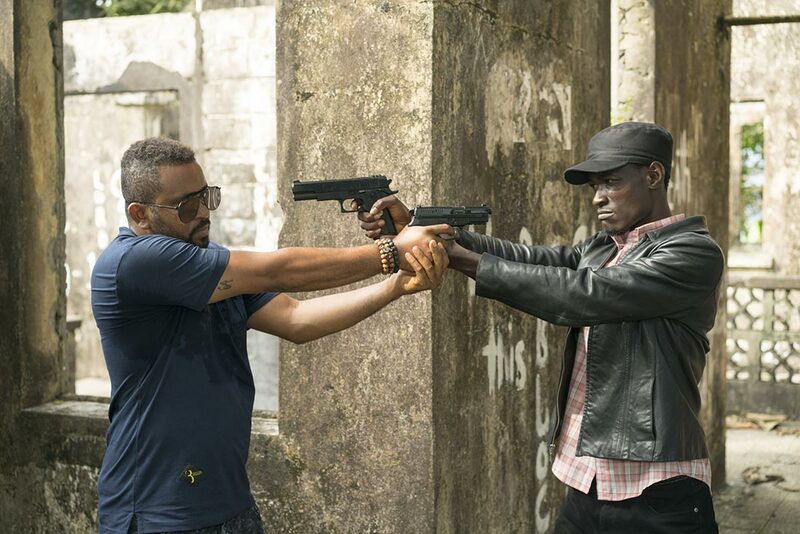 On the outskirts of Monrovia, a film crew knuckled down to work. Beyond the urban sprawl, they were distanced, if not safe, from the Ebola crisis playing out in the city. 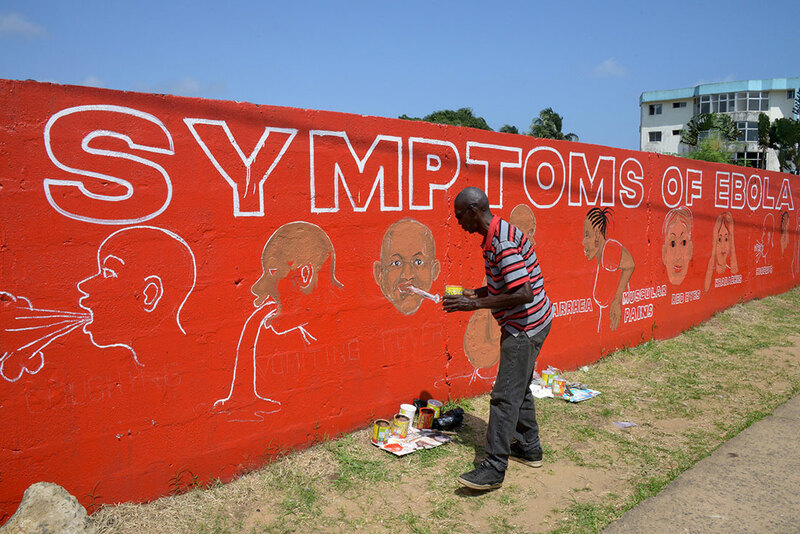 Liberia was already on a path to becoming the worst-affected nation in the West African epidemic, and nearly 5,000 lives would be lost by the time the World Health Organization gave the all clear. It was September 2014, and the end of the outbreak was not yet in sight. For almost a month the crew stayed away from their family and friends, camped between a hotel and a house in the suburb of Virginia. The set was on lockdown. They were living in each other's pockets but remained at arm's length -- necessarily so. Diluted bleach was used to wash. There would be no shaking hands or high fives for a job well done. Bodily contact was a potential death sentence, and fear abounded in this pressure cooker environment. It was a strange milieu in which to make a comedy. The film in question, "Killer Bean and Falcao," is not an all-time great. It will never feature in late-night cult screenings, nor make critics' "best of" lists. But for the circumstances in which it was made, it deserves to stand shoulder-to-shoulder with the likes of "Apocalypse Now" and "Fitzcarraldo." Unlike Francis Ford Coppola's drug-addled, mind-bending shoot in the Philippines, or Werner Herzog's Sisyphean travails with a boat in the Peruvian Amazon, the film's problems were not self-inflicted. Nonetheless, like these famous directors, its producer, Richard Dwumoh, knows the sacrifices and effort required to will a piece of art into being. "It was terrible," he says, thinking back with a nervous laugh. "That was one of the biggest risks I've ever taken in my life. "I had one experience I'll never forget. ... A girl fell ill (on set). Back then, the symptoms were when someone's skin becomes hot, their eyes are red and they start vomiting, that means they have Ebola. The girl was showing all these symptoms. She had a little girl, about 6 or 7 years old, and she, too, began throwing up. "So many people had touched this girl," Dwumoh recalls. He returned to his room and did the only thing that felt right: He prayed. In the end the symptoms proved a false alarm, and both mother and child recovered. "Glory be to God," he adds wistfully. "Everybody was afraid that day." 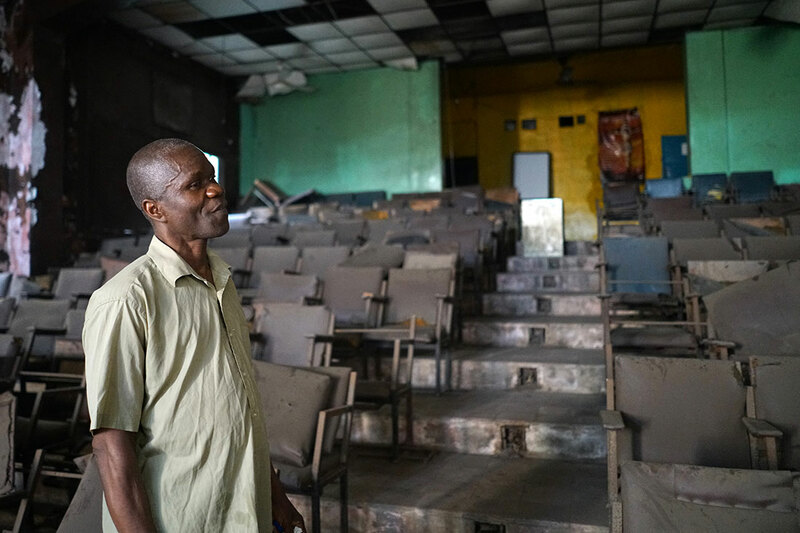 A guard inside the old screening room of the Sheila Cinema, Monrovia. The cinema closed down in the early 1990s, and today the city lacks places to show movies -- part of the reason why DVDs are so popular. Lollywood is the business that Ebola built. Not from the foundations up, but certainly to its pinnacle. Liberia's film industry (which shares its moniker with that of Lahore, Pakistan) joined Nollywood in Nigeria, Ghollywood in Ghana and Wakaliwood in Uganda as a significant African player because of, rather than despite, the Ebola outbreak. Summer 2014 was the fulcrum: On July 27 all but the major border entry points to Liberia were closed; on August 6 President Ellen Johnson Sirleaf declared a 90-day state of emergency; and on August 20 a nationwide curfew came into place. A country and its people were cut off from their West African neighbors. Exports ceased and imports dried up. Imports including DVDs -- a footnote in the story of the epidemic, but one that proved significant to some. Dwumoh's company 2Rich Productions opened for business in 1998. It was an outlier, one of the first movie production houses in Liberia, where television schedules and cinema listings were dominated by titles from cultural behemoths to the east. "When I started, there were only Ghanaian and Nigerian movies," he recalls. Liberia, a nation of 4.3 million people, could not -- and still cannot -- compete with its neighbors. Ghana's economy is 20 times the size of Liberia's. Nigeria's is nearly 200. Liberia's limitations earmarked it as a cultural consumer rather than producer within West Africa -- so much so that Dwumoh took his nascent stars from Liberia and incubated their talents outside the country. There were other factors, too, explains 28-year-old Abdul-Karim Sheriff, who directed six films for 2Rich and operates as chief executive of VORS Entertainment. 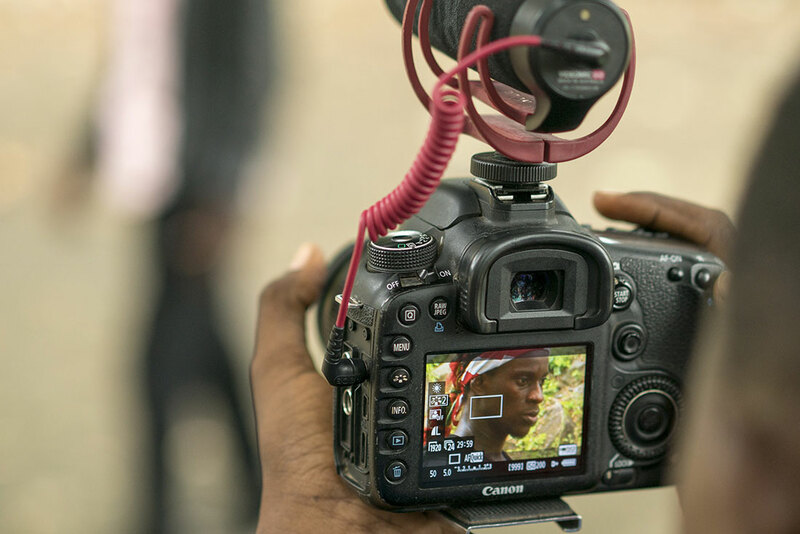 "People traveled to nearby countries like Ghana and Nigeria during the Liberian Civil War (1989-2003) and they learned about filmmaking there. They came back packed with knowledge," he adds, "and Lollywood was officially founded in 2004." Director, writer and actor Abdul-Karim Sheriff (right) and actor Fadee Arab Marine on the set of Lollywood movie “Bloodline,” November 2016. By 2009, Frank Artus, a Liberian actor with Nollywood appeal, was among 2Rich's roster of talent, fronting movies like "Foolish In Love." But domestically Lollywood struggled, through to the mid-2010s. "Our market was so low to the point where we were not even making (back) the money we used to invest," admits Dwumoh, who relied on exports to break even. Everything changed when the borders closed. Market stalls closed, and those that remained open, once brimming with pirated movies from West Africa, India, the United States, the Philippines and Hong Kong, were unable to restock their shelves. Entertainment centers all shut at 18:00 daily. With a curfew in place "you couldn't go anywhere," recalls actor Abdul Jah. "Everybody was indoors for months." "We were stuck," says Dwumoh, and "the country had nothing to watch." Opportunity knocked for Lollywood, and 2Rich answered. Jah already had a few 2Rich films to his name before the outbreak. His bulging pecs and chiseled jaw hint at his action hero aspirations, but belie his comedy chops. Known as Killer Bean -- riding on the coattails of a popular cartoon character -- Jah cut his teeth in slapstick. He's happy to play the fall guy, finding himself in the bad books of law enforcement or bumbling through farcical weddings. His career, he believes, was predestined, his father telling his pregnant mother Jah would become an actor when he was still in the womb. Abdul Jah, known to audiences as Killer Bean, is a former martial artist-turned-actor. He played for laughs during the Ebola crisis, when the majority of films made in Liberia were comedies. Jah remembers what it was like at the peak of the outbreak in Liberia, when 300 to 400 new cases were being reported a week and the country announced a shortage of body bags. "People were worried, people were crying, people were traumatized," he says. "The tension in Liberia was so high, to the extent where if you heard a car horn you wanted to run away," adds Dwumoh. 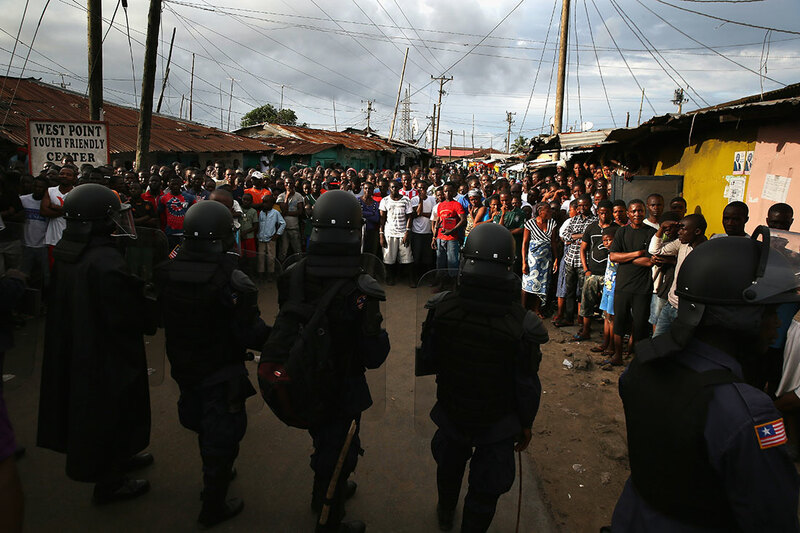 Emotions were on a hair-trigger; when one neighborhood in Monrovia was quarantined, residents turned on soldiers and riot police. "Richard came up to me and said 'Look, we need to stretch free our minds,'" says Jah. "So we put this story together called 'Killer Bean and Falcao.'" Produced and directed by Dwumoh, who also received an acting credit, the best way to "release the tension," he says, was "to make people laugh." The shoot was "never easy," says Jah. "We were always using preventive measures. Washing our hands with soap and water, every second, every minute." No hand contact, no eating bush meat. There were certain locations where they dared not film, and others were closed off. In the end, they used the grounds of a friend's house near the historic Hotel Africa. "Nobody wanted to risk their lives by going out," Jah adds, but the crew who did "were always together, knowing what we needed to do." Still, he recalls, it was fun. Trailing the film with a music video intercut with choice clips, "Killer Bean's" hapless troublemaker sated a hungry audience. A good Liberian film might sell 3,000 legitimate copies, Dwumoh explains. "Killer Bean and Falcao" sold 20,00 to 30,000, as well as an unknown volume of counterfeits. "It put us in control," says Jah. "People started becoming confident in Liberian movies." Abdul Jah caught on a camera monitor on set, November 2016. Others took note and switched on their cameras, including Sheriff, a director since 2008. He understands why some Liberians chose to stay away. "Many good people, many good actors, said 'I'm not taking that risk. I'm not going on set' -- and they were right," he says. "But a few of us felt even if Ebola is going to kill us, I'm going to keep making films, and whatever's going to happen is going to happen." Jah also embraced a sense of fatalism. It was required, he says, to stave off what he calls a "secret suicide;" a metaphorical death caused by the constant worry of contracting Ebola. If the disease had not yet claimed their bodies, Jah, Sheriff and their contemporaries decided it would not claim their minds. Actress Michelle Ella Van relaxes between takes on the set of “Bloodline,” in which she starred alongside Abdul Jah in 2016. A glut of films followed. Some put the figure in the hundreds. "And people were buying it," says Sheriff, for 100 Liberian dollars ($1) apiece. "The few occasions they had to go out, they'd use their time to buy films." 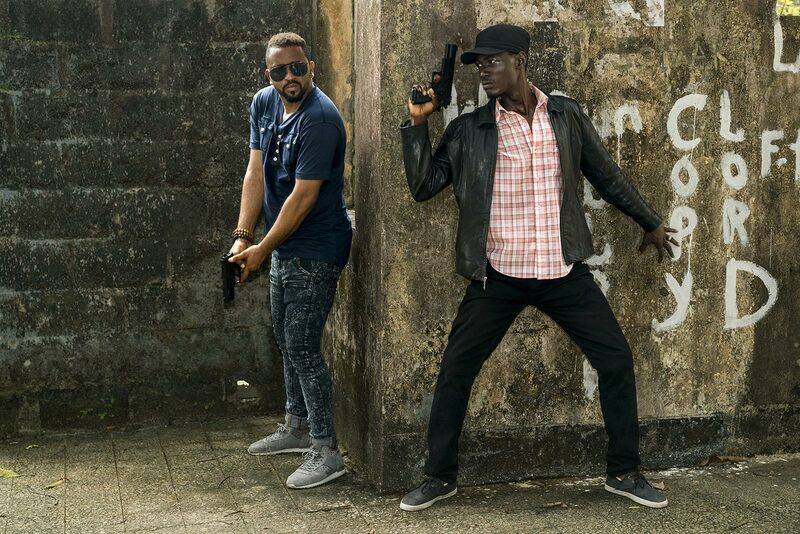 Jah regularly faced-off against Frank Artus, his on-screen nemesis, and multiple sequels to "Killer Bean and Falcao" were produced under the curfew. Titles including "Good Girls Gone Bad," "Behind Bars," "Last Wedding" and "The Redeemer Of The Gollas" were made while the epidemic still touched the country. "Ninety percent of the films that came out were all comedy," says Sheriff, adding that writers sometimes inserted Ebola prevention instructions into their scripts. Practicing what he preached, the director recalls his team having their temperatures checked before the day's shoot began. "By the help of God, we didn't lose any (crew) members," he says. 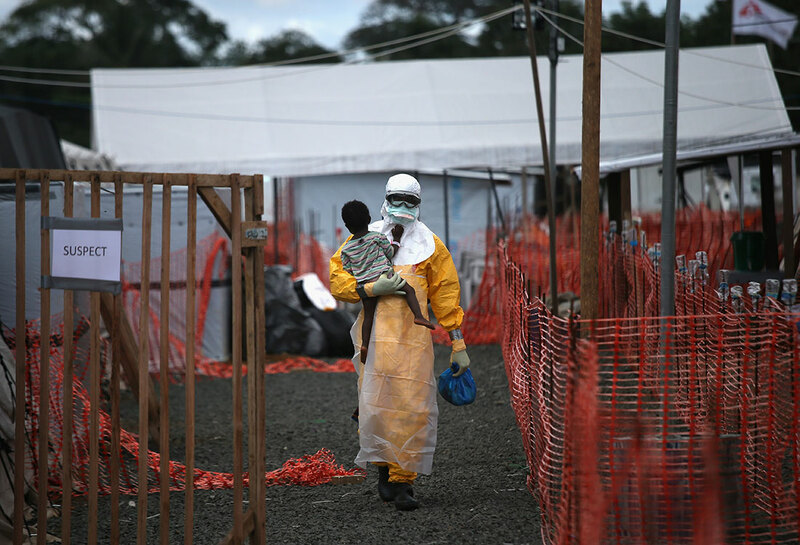 On February 22, 2015, border crossings reopened, and on May 9 the World Health Organization declared the Ebola outbreak over in Liberia for the first time. Sporadic flareups continued until the country was pronounced free of active Ebola transmissions for the final time in June 2016. Imports by that time had returned, and the flow of foreign films, sold 10 or 20 to a disc, repopulated market stalls. "We were back to selling 2,000 copies" Dwumoh says, clearly raw about the hit on his company. The problem is not just foreign films, he explains. With open borders, Liberian movies are being sent to China, pirated and reimported with multiple features per DVD. "It's killing us," adds Sheriff. "It's our hard-earned labor. We suffered to make it." 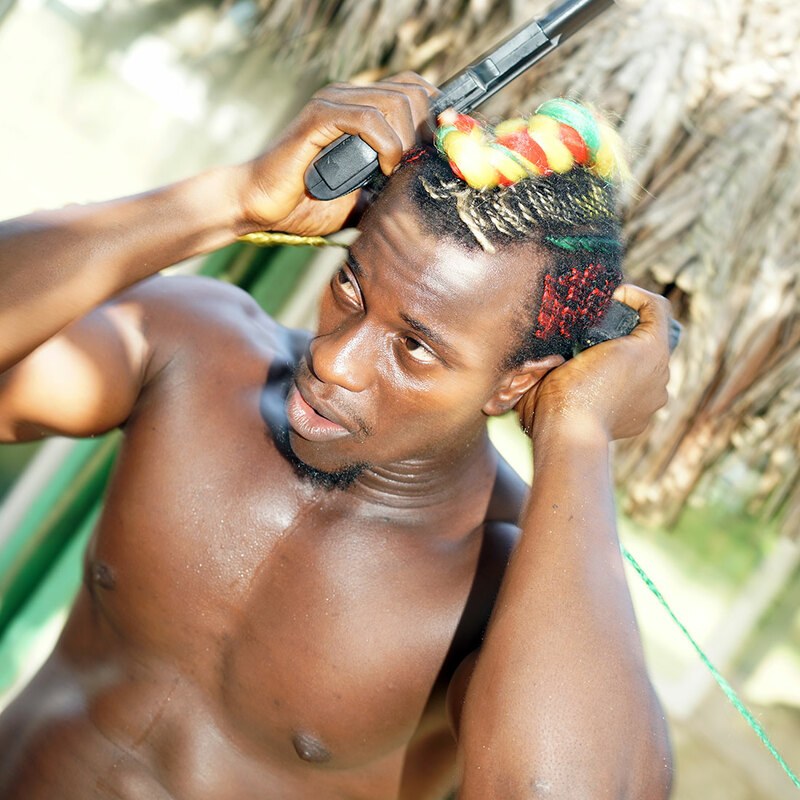 The payoff for succeeding in Nollywood is huge, but is Jah's gain Liberia's loss? "I pray that God uses me as a tool to change the Liberian market," he says. "I came (to Nigeria) to work and I'm not going back to Liberia until I can achieve what I have to achieve in life." 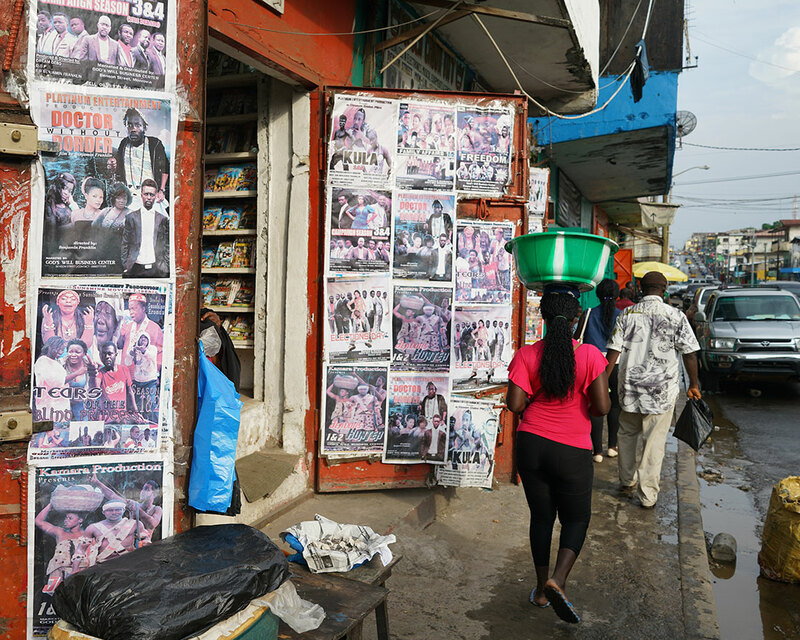 Carey Street in Monrovia, the roadside lined with film outlets. Piracy is a big problem in Liberia, with foreign movies often sold at 10-to-20 per DVD. Ebola's defeat did not extinguish Lollywood's flame entirely. "At least it's not like before," says Sheriff. But these are trying times, and more government help would be welcome, Dwumoh argues. 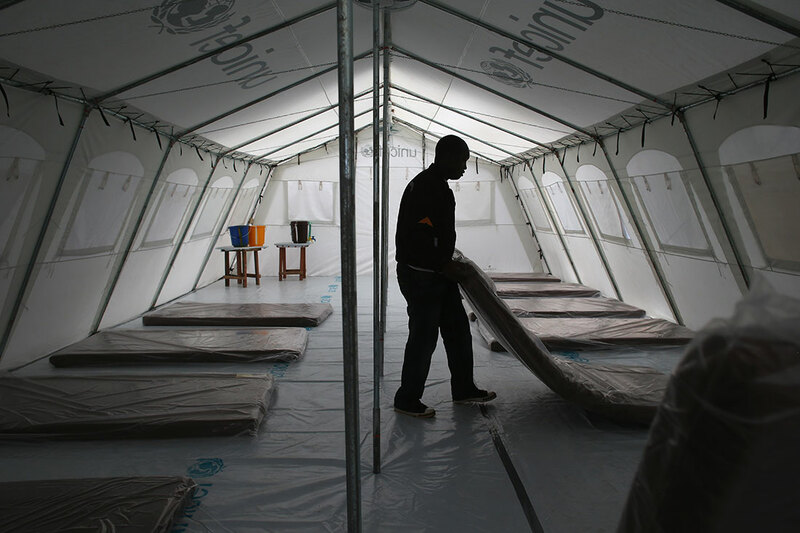 "During Ebola I alone was employing up to 200 people ... all those people are now gone. We always talk about unemployment and government creating jobs. (Films) are a means of creating jobs for the nation." "Movies are not just about entertaining," he adds. "They also showcase the culture of a country to others and to ourselves. Movies educate people, but people don't even want to look at us." French photojournalist Francois Beaurain was one person who did want to look, visiting Liberia in November and December of 2016. A fan of West African cinema, he told CNN he was intrigued by the diversity and number of films being produced during the Ebola crisis. "All my favorite video clubs that used to sell Nigerian movies were now selling Liberian DVDs," he explains. "I was intrigued to find out more about this new Liberian movie industry, so I started interviewing and photographing filmmakers and actors to bring them to the world's attention." 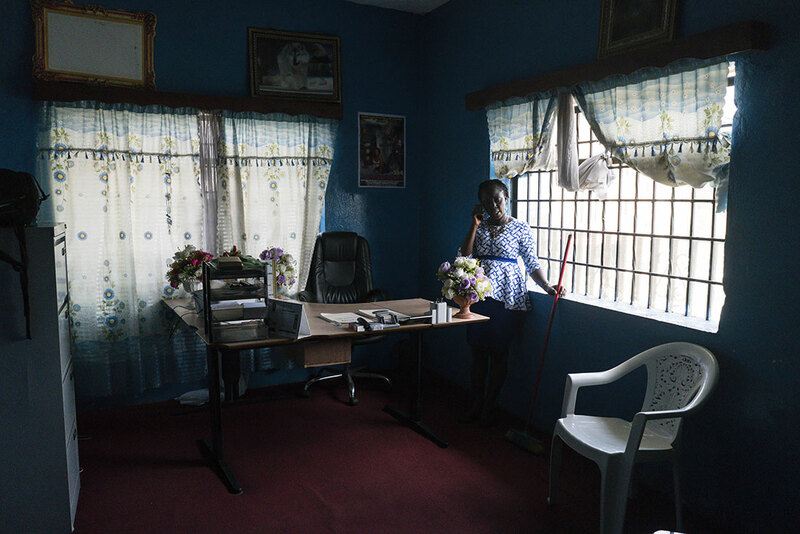 Inside the director’s office at the Liberian Movie Union. Producer Richard Dwumoh says the union is waging a war against movie piracy in the country. Lollywood's halcyon days may well be behind it, if you believe the pessimism of some. Dwumoh says during Ebola, 2Rich was shooting two or three movies a month. Now he's making one or two a year. Bound to the fate of a deadly virus, eradicating one has cut a deep wound in the other. Technology may yet revitalize the market, however, with Monro TV, a Netflix-style Lollywood subscription service, launching earlier this year. "It was so confusing," Jah says, reflecting on the boom. "Ebola helped us and also destroyed us. It killed our loved ones; people that we loved so much died in the process." Nearly a thousand miles from Monrovia and working in an industry brimming with opportunity, a bitter irony is not lost on the actor. "Ebola changed my entire life. Because of Ebola, I have become a star."